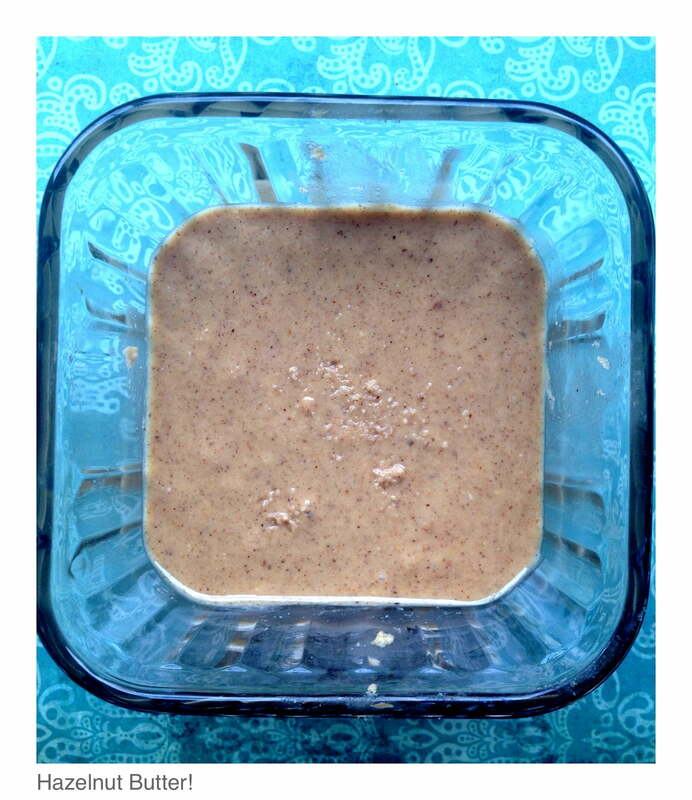 As I have mentioned in a previous post about Sunflower Nut Butter….it’s super easy to make. Last week I made almond butter and this week hazelnut. I love nut butters …they are full of nutrition and I just LOVE the taste. Plus you can take this simple recipe and doctor it up to make it something special. Add cocoa and sugar for your very own nutella or add honey and cinnamon for nice little twist. But the basic recipe goes like this. 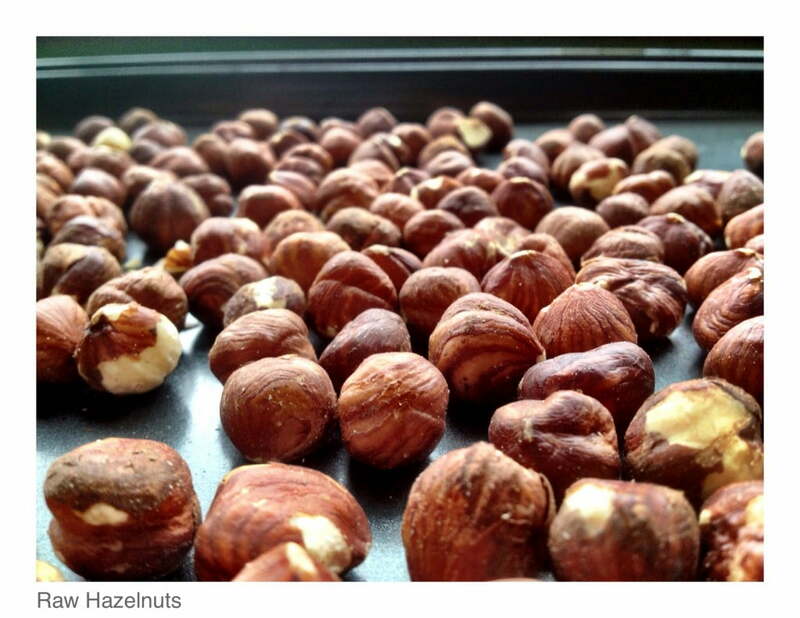 Take 2 cups of raw hazelnuts and roast in a 375 degree oven for 10-15 minutes. When you are done they should look like this. Take them straight from the oven into a dish towel and rub them together. You will notice the skins start to come off. You could leave the skins on but they will make the nut butter a little bitter so try to get off the most you can. Here is what mine looked like in the blender. And here are the skins! After you take of the skins put them in a food processor or high speed blender. Make sure they have cooled off first though. Process for a few minutes until they have a consistency of a nut better. It doesn’t take long. Add a little sea salt if you like and some sweetener or honey if you want it to take like store bought. And now the finished product. Enjoy! This is very basic and super simple. You can add vanilla, sea salt, cocoa and sugar to make a nutella type of butter. Or add cinnamon and honey for a nice sweet spread. 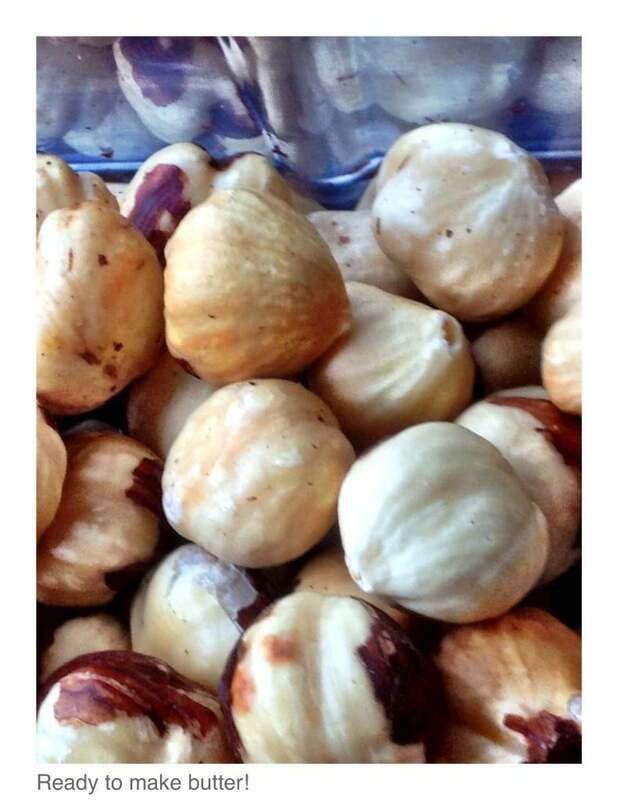 Roast hazelnuts on a cookie sheet in a 375 degree oven for 10-15 minutes. 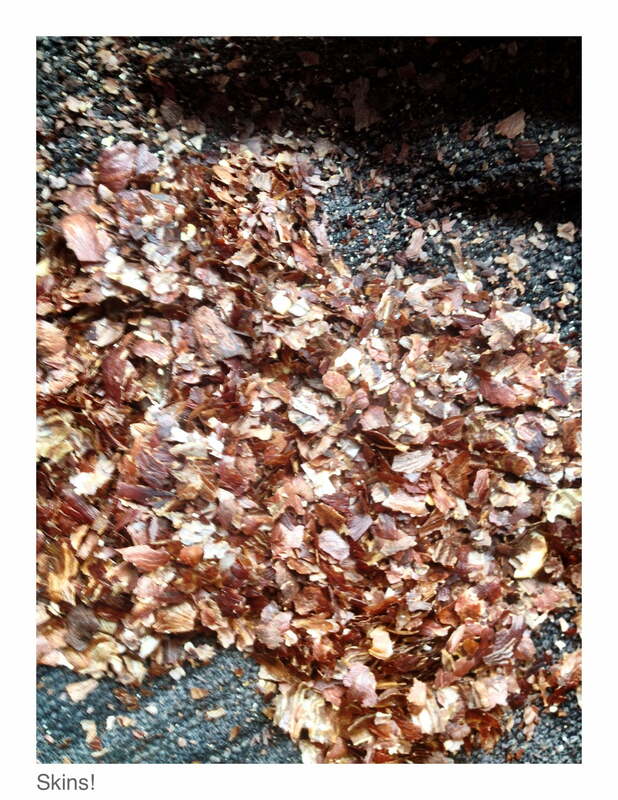 Load hot hazelnuts into a dish towel and rub nuts against each other to make the skins fall off. Try to get as much of the skin off as you can but don't obsess! 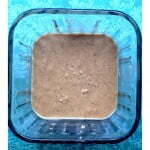 Put the nuts in a food processor or high speed blender and blend tip it becomes a smooth nut butter. Only a few minutes.